According to recent studies, the social interactions of users such as sharing, rating, and reviewing can improve the value of digital learning objects and resources on the web. Linked data techniques, on the other hand, make different kinds of data available and reusable for other applications on the web. Exposing (meta)data, especially with a complex structure, as resource description framework (RDF) requires an ontology to bring all the data types under one umbrella. 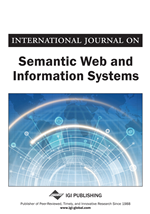 In this article, the authors propose an ontology in which social activities of users are exposed as linked data by reusing existing vocabularies. The proposed ontology has been implemented in a federated open educational resources (OER) portal, in which they published ratings, shares, comments, and other social activities assigned to around 1,000 OERs. This exposure allows other datasets, including harvested repositories, to explore the exposed social data related to e-learning objects according to the users' social engagement. In the early days of what is now called the era of Web 1.0, the social component of online learning was largely missing. Delivery over the Internet was mostly restricted to serving content to users. This situation changed with the emergence of Web 2.0 and the creation of social and sharing networks (Greenhow & Askari, 2017). Through Web 2.0 and cloud based services, a wealth of social interactions is now possible which allows and facilitates the creation of peer-to-peer learning networks, i.e. connections between learners to co-create, share, reuse, and edit resources or engage in discussions online (Hsieh, 2017), and even massive online learning communities like MOOCs or virtual worlds, (Veletsianos, Collier, & Schneider, 2015). These networks are aiming to maximise the social interaction in technology enhanced learning (TEL) with technical and pedagogic designs that are equipped with a great variety of different tools (Waight & Abd-El-Khalick, 2018; Sloep et al., 2012).